I revisited Waverley Cemetery in Sydney a few weeks ago. It covers a valley that looks out to the Pacific Ocean. It’s a site of loss and remembering of course, but it also conforms to the architectural geometry of melancholy. The horizon is sovereign, and reminds the visitor of the reaches of time, distance and separation. There’s solitude, and spatial depth — even a cliff, and water that looks still from a distance. The cemetery is vast, but is also concealed, if not buried. We had trouble finding it by car. Aircraft grind into Kingsford Smith Airport on their low approach over the valley emphasising travel, distance and separation. The perspectival lanes and avenues reach to the brow of the hills where mundane 1960s blocks of flats compete for the view. So melancholy is everywhere. I think David Hockney found it in swimming pools. There’s the film The Swimmer (1968), not to mention The Graduate (1967). 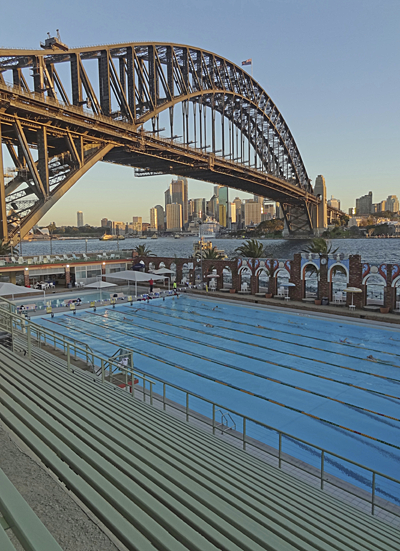 Here’s Sydney’s famous Olympic Pool with its lanes projecting into the distance, the ever-present horizon, the solitude of swimming. 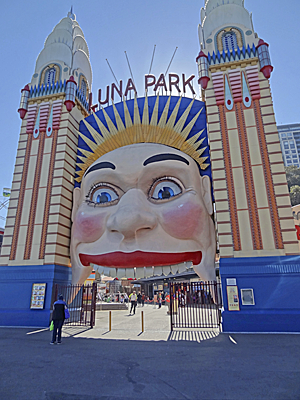 It’s adjacent to an amusement park, Luna Park, that you enter through a forced smile. 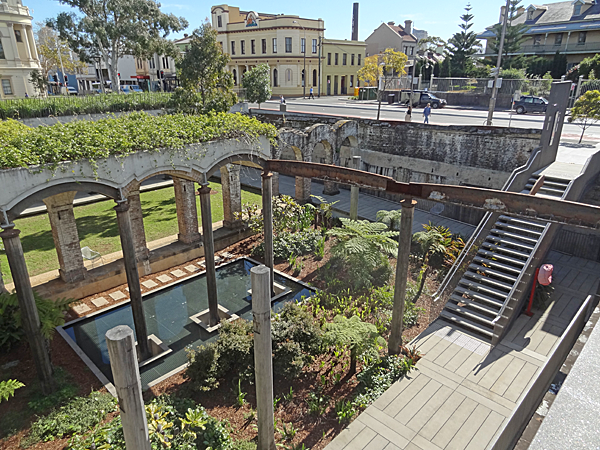 Here’s another bit of melancholy urbanism, an underground reservoir in the inner suburb of Paddington (where I used to live) — now revived as a sunken garden that retains its past via rusting columns, arched i-beams, encrusted retaining walls, and still water. Federation Pavilion (1901) in Centennial Park, Sydney by architect Alex Tzannes. Also see Melancholy medium, Melancholy and media, Wellbeing and geometry, As the mood takes you and Oblivion, which include references to key melancholic themes: creativity, recollection, distance, separation, loss, reflection, horizon, depth, underground, haunting, concealment and irony.